After tying the knot, a girl is supposed to change her surname to her husband’s. However, Abhishek Mande Bhot broke the traditional norms and took his wife’s name instead. Today, I feel so glad to pen down the story of this adorable couple who is a real inspiration for all married and to-be married peeps. The institution of marriage makes a girl enter the world full of responsibilities and duties. Not only this, the toughest time comes when she has to give up her surname and take up her husband’s surname. But now it seems that the world is changing, and the way people are thinking has revolutionized. The story revolves around Abhishek who opted to have his wife’s name, instead of asking her to do so. The much-in-love couple Kermin Bhot and Abhishek Mande Bhot initiated to take a step towards surname or name change for good. Abhishek decided to have Kermin’s surname after the wedding. Doesn’t it look like a dreamy thing? Abhishek, who is younger to his wife and gets a less juicier pay check than Kermin, takes pride in taking up his wife’s surname. When asked from Kermin about her reaction, she spontaneously said that Abhishek has always been active in fighting for women’s rights. Because of the presence of strong ladies in his life, the age and salary never came as an issue between the two. In fact, there were times when he was always ready to elaborate for hours and hours, why it was important to respect women and their rights. And now, if media asks him about his decision, he just says he did that because he felt to do so. Obviously, repeating oneself again and again for the same cause can be boring after some time. 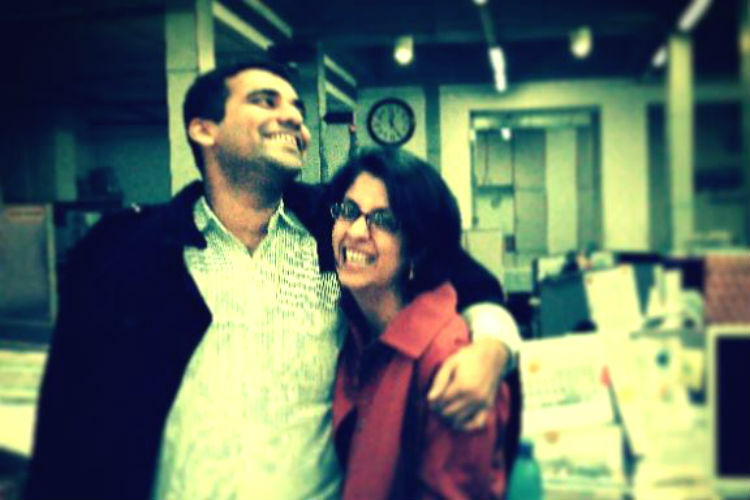 Their love story is unique as Kermin hails from a Parsi background, while Abhishek belongs to a pure Maharashtrian family. Definitely, their cultures and traditions were like north pole and south pole. But it was the similar thought process and same values that helped them in finding love. By taking his wife’s name, Abhishek is no less than a role model for others. We hope to see this same wave of respect in the whole world some day.